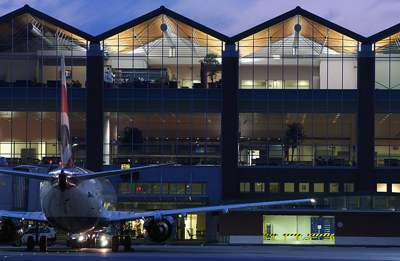 The Venice Italy Airport , named Marco Polo, even though is not that big, is the biggest and most important of Veneto. Recently it has been renovated and enlarged. 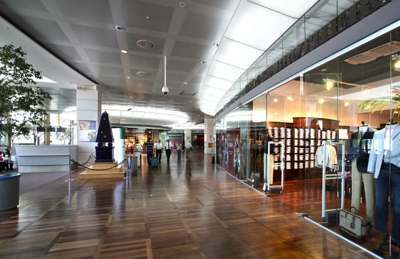 The Marco Polo Venice Airport is connected to 63 different countries: a lot of european countries, including the Russian Federation, USA, North Africa and the Middle east. 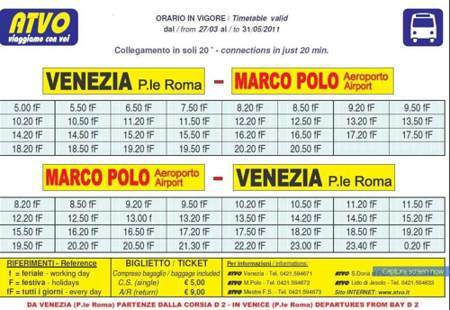 How to get to Venice from the airport? There are 2 regular bus services that will take you to Piazzale Roma, the gate to the historical Venice. I usually use this one, I find it more comfortable, the rides are faster, with the same timetable both for weekdays, weekends and public holidays. The ride lasts 20 minutes. The buses are comfortable, with air conditioning and a big luggage van. The one-way ticket price is 3 €uros, baggage included. 3. or you can buy it on board. 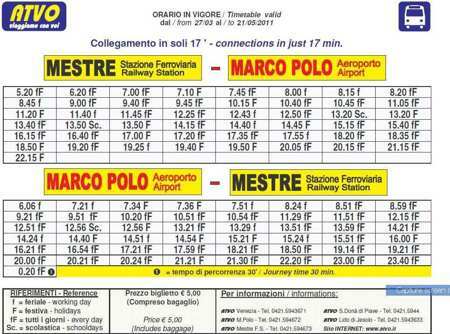 In case you want to go to Mestre, here below is the timetable. It is a bit slower than ATVO, as it has several intermediate stops. Take the bus number 5, or as an alternative, the 4, which has less more available routes though. a quite expensive private service. You recognize them from the license number on a yellow strip.